Because I often share very large, high-resolution image files that I can’t upload directly to this site, I wanted to put together a quick guide on sharing files using Dropbox and Google Drive. That way, you can have the high-quality images you need to recreate some of these projects at home. 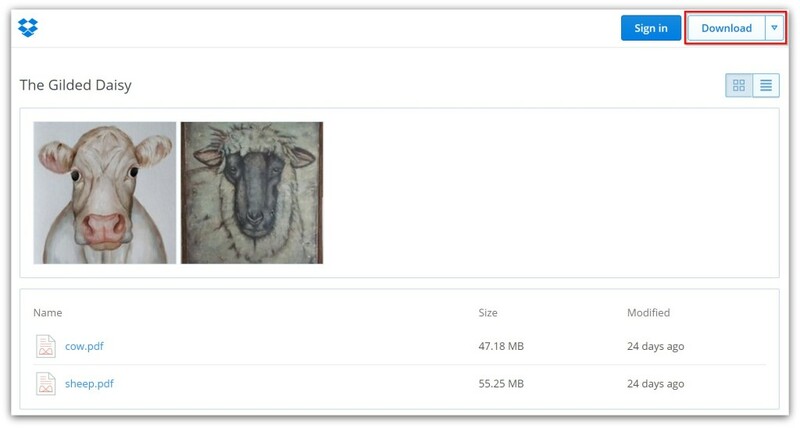 Both Dropbox and Google Drive are services that make it possible to share files with anyone who has an internet connection. Plus, you might want to use these services to store your own, personal files. That’s because files on Google Drive and Dropbox stay safe even if your computer is damaged (spilled coffee anyone?) and make it possible for you to access your files even when physically you’re away from your computer (like at a friend’s house or on your phone). 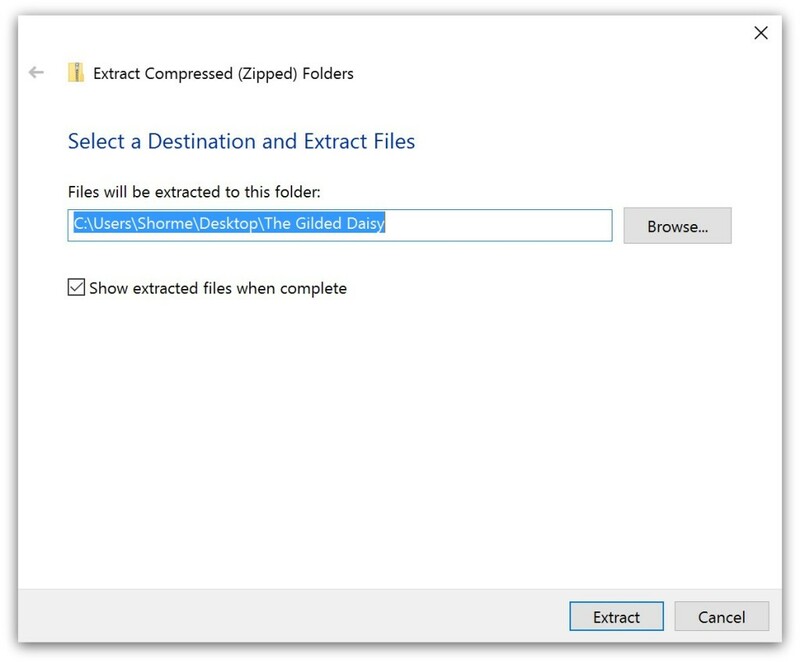 I’ve also included information on opening ZIP files as it is another common method for share large files on the web and through email. 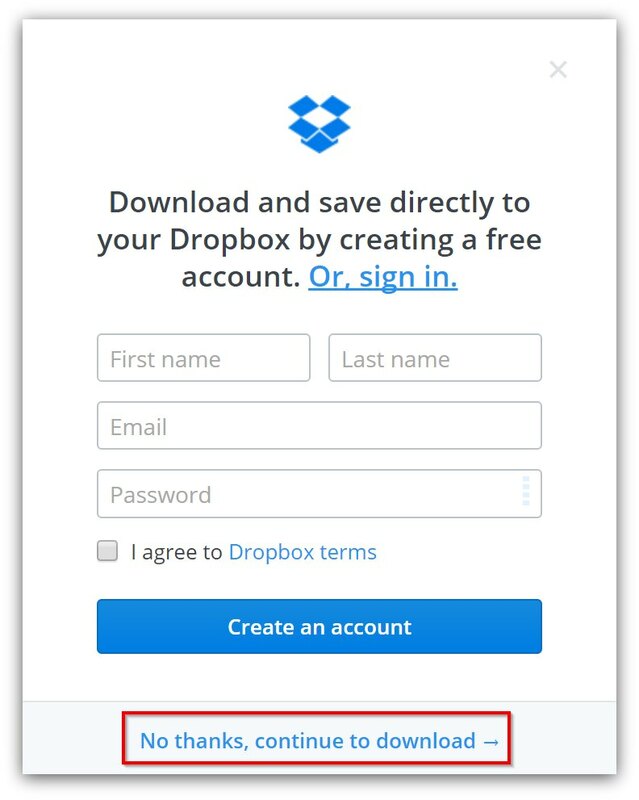 When someone sends you a Dropbox link, you can use it to see and download the file or folder they linked to. As you can see, there are multiple files you in this folder. Some are JPGs and some are PDFs (if you’re not sure what JPGs and PDFs are, check out my guide to file types). If you’d like to download all of the files in the folder, click the “Download” button on the top, right-hand corner of the screen. If you have a Dropbox account or want to create an account, you can do so here. But if you just want to quickly download the entire folder to your computer without having to login or create an account, just click “No thanks, continue to download” at the bottom of the pop-up. That will start the automatic download for the folder. The only problem is that it’ll be a ZIP folder. If you have trouble with ZIP files, keep reading – I have more information on that below. Ok…now sometimes, you might just get a link to one single file. Or you might only want to download one of the files in the folder, not all. In that case, you would just click on the file you’re interested in. Just like before, you click the “Download” button on the top, right-hand corner of the screen. When you do, that file will automatically download to your computer and you’re done! If you want to go back to looking at all of the files in the folder, you can click the X on the top, left-hand corner of the screen. Unfortunately, with Google Drive, you can’t download the entire folder – you have to download each file separately. To download a file, you can hover over it. When you do, it will become slightly darker and a download icon will appear on the top, left-hand corner of the image. To download, simply click on that icon. There are a couple of different things you can do on this screen. 2. Print – Using this button lets you print the file directly from Google Drive. 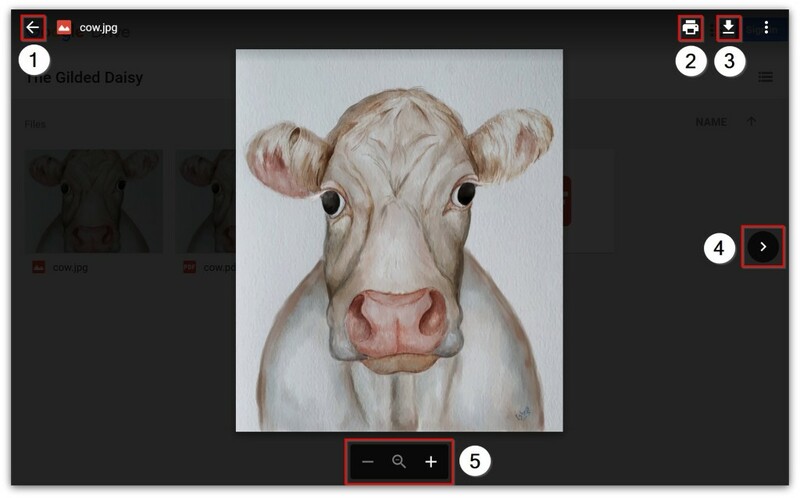 Just keep in mind that if you want to print a bigger version of an image, you might want to download the file instead and use Block Posters to enlarge it. 3. Download – Use this button to download the file to your computer. 4. Arrows – You can use the arrows to the left and right to look through the other files in this folder. 5. 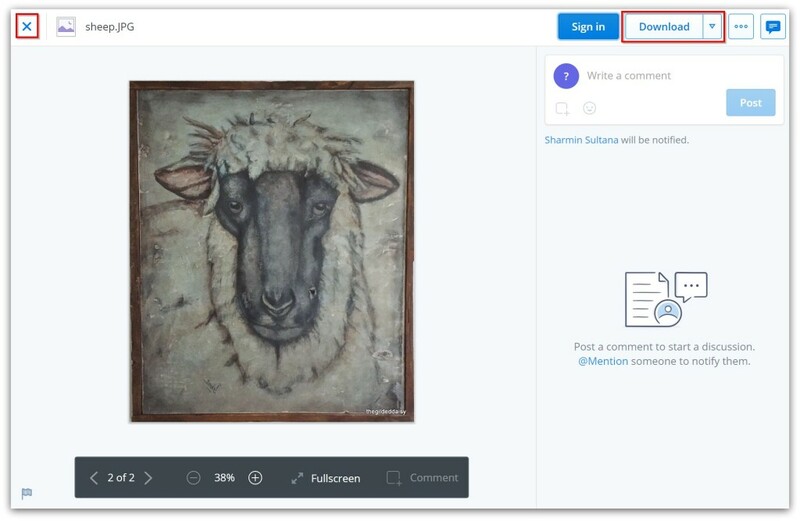 Zoom – The buttons at the bottom of the screen allow you to zoom in or out so you can take a closer look at the file. 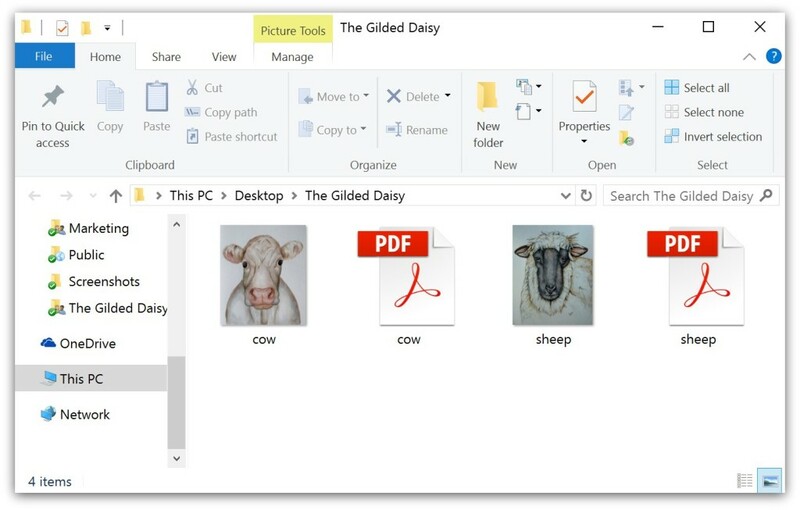 ZIP files are a great way to share several documents in one folder. And since this format compresses the files, it makes it easier to share large files quickly. That’s why many sites use ZIP files (including Dropbox) to share large folders. The thing is, to view the documents inside a ZIP file, you need to “un-zip” it first. Unzipping a file or folder on a Mac is very simple: you just have to double-click on it. 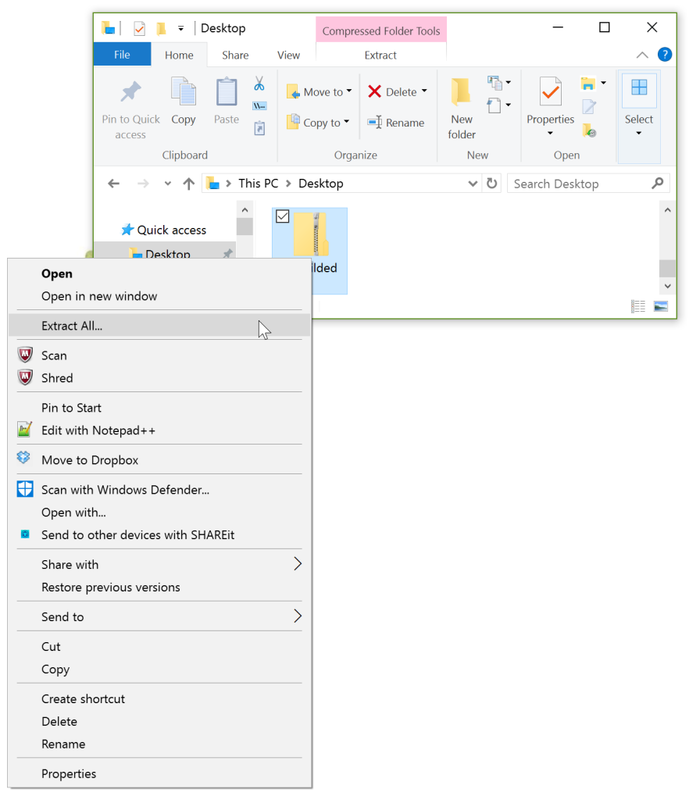 To unzip a file in Windows, you need to first find the ZIP file and right-click on it. Now, you’ll be able to open all the documents in the ZIP file. Hope you found this guide helpful!